My hair, my hair is naturally curly, so it takes longer for my hair to lock, however it will lock. I have been reading about the benefits, of Coconuts Oil. 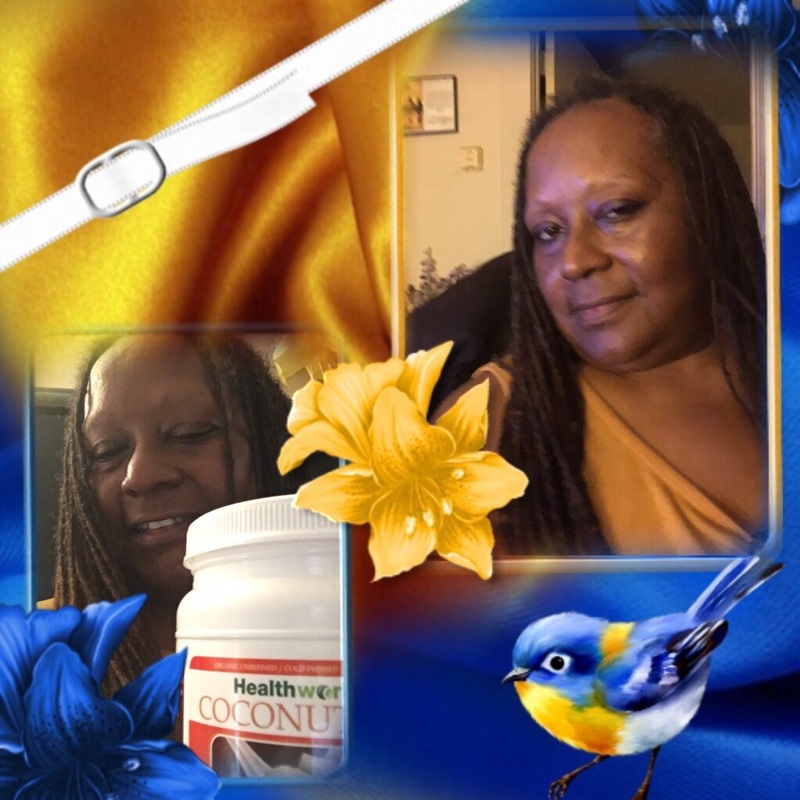 For the past two weeks I have been using coconut oil from health works it is all natural virgin coconut oil and I seen a sign on my hair, and it has really strengthen and gave a shine in my hair, It wasn't there before. And I've tried almost everything on the market. And I have learned to stick with what works for you. So I have been using Cantu Shea butter leave-in Conditionsing, Murray's I think it's called Loc A Loc gel, and I use Pentene for curly hair shampoo and conditioner.